Two going on twenty. : I'm here for you. Inspired by my friends, my daughter, and some of my family. 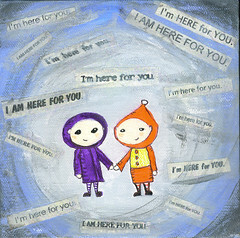 Sometimes all you need to hear is, "I am here for you."